Happy Couple With Young Pet Dog, Puppy Kissing Woman. Stock Photo, Picture And Royalty Free Image. Image 80016660. 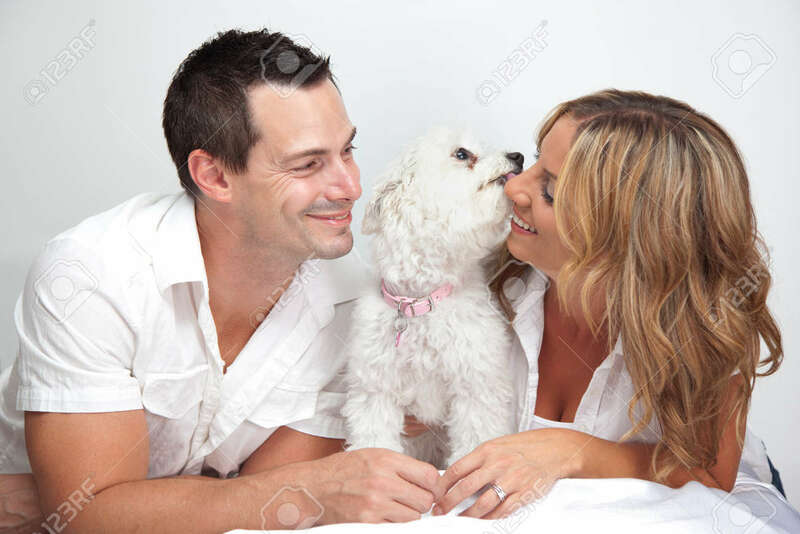 Stock Photo - Happy couple with young pet dog, puppy kissing woman. Happy couple with young pet dog, puppy kissing woman.